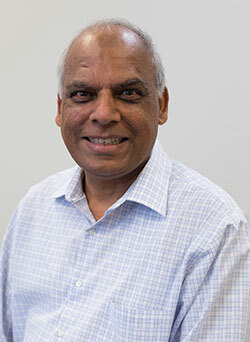 Photo Caption: Janak Shah, Management, Larry L. Luing School of Business®, received the Commitment to the College Award during the 2017 Berkeley College Faculty Recognition Awards dinner, held on November 2, 2017, at Battery Gardens in Manhattan, NY. “To be a great teacher, you need passion and love for the students to make them succeed,” he said. “Be patient. I always write in my progress reports that my students have great potential. I believe they can do it.” Mr. Shah is a resident of Paramus in Bergen County, NJ. 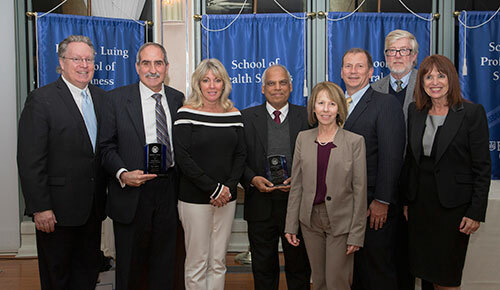 Below (L to R) are Michael J. Smith, President of Berkeley College; Guy Adamo, PhD, Fashion, Larry L. Luing School of Business; Deborah Ranges, JD, Justice Studies, School of Professional Studies; Mr. Shah; Beth Castiglia, PhD, Provost; Kevin L. Luing, Board Chairman; Michael McAteer, DBA, Dean, School of Professional Studies; and Elana Zolfo, EdD, Dean, Larry L. Luing School of Business. Commitment to the College Award.